Journal of Clinical Images and Case Reports is an international peer reviewed and open access journal that aims to publish clinical images pertaining to medical conditions. The Journal provides a platform for securing visual images concerning medical cases that the physicians come across in all medical subspecialties for better understanding of the disease epidemiology, diagnosis, management. The journal presents therapeutic strategies to improve the global health outcomes. 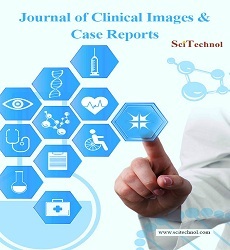 The Journal encourages rapid publication of series of clinical images from medical cases, radiology studies or clinical pathology observations with a short description or discussion on the cases in an open access platform. The double blind review process through Editorial Manager System helps in maintaining the quality of the peer review process and provides easy access to the authors to track the status of the manuscript, including evaluation and publication in an automated way. Subject experts under the supervision of the Editor-in-Chief review the manuscripts. Approval of at least two independent reviewers and the editor is mandatory for the acceptance of the manuscript for publication. Diabetes is a persistent, irremediable complex spectrum of metabolic diseases that occurs when the body doesn’t produce any or enough insulin, leading to an excess of sugar in the blood. In addition to metabolic pathways, these diseases also express hormonal disturbances. The glands in a person's body release hormones. Endocrinologists treat people who suffer from hormonal imbalances, typically from glands in the endocrine system. Psychology is the science of brain, mind and behavior, involving all aspects of conscious and unconscious experience as well as thought. It is an academic discipline and a social science to obtain in-depth analysis of individuals and groups by establishing general principles and researching specific cases. A variety of techniques may be engaged including personal interviews, direct-observation, psychometric tests, and archival records. The advantages of the case study in psychology are the potential for the development of novel hypotheses for later testing; the case study can provide detailed descriptions of specific and rare cases. A case report is a detailed description of observations which are evidence based. In medicine, a case report is a detailed report of the symptoms, signs, diagnosis, treatment, and follow-up of an individual patient. Case reports may contain a demographic profile of the patient, but usually describe an unusual or novel occurrence. Regardless, case reports do have genuinely useful roles in medical research and evidence-based medicine. In particular, they have facilitated recognition of new diseases and adverse effects of treatments. They also help understanding the clinical spectrum of rare diseases, as well as unusual presentations of common diseases. They can help generate conceivable mechanisms of disease. The immune system consists of diverse cell types which collaborate to eliminate infections by a large number of pathogens. Immunology is the branch of biomedical science that deals with the response of an organism to antigenic challenge. It deals with the defense mechanisms including all physical, chemical and biological properties of the organism that help it to combat its susceptibility to foreign organisms, material, etc. Allergic diseases are a number of conditions caused by hypersensitivity of the immune system to something in the environment that usually causes little or no problem in most people. Cardiovascular case reports are scientific information in cardiology and related diseases. Cardio vascular case reports include stroke, heart failure, hypertensive heart disease, rheumatic heart disease, cardiomyopathy, heart arrhythmia, congenital heart disease, valvular heart disease, carditis, aortic aneurysms, peripheral artery disease, thromboembolic disease, and venous thrombosis. Case reports of Cancer Science include research that has a significant clinical impact on oncologists or that may help in altering the disease. Cancer is a group of more than 100 different diseases. Cancer Science Reports involve study of any tissue/cells of the body and have many different forms in the body. Diabetes Case Reports are the reports which contains information related to diabetes and associated treatments. Diabetes Case Reports may be defined as case reports which define the causes, various treatments, precautions, and other related information related to diabetes. Urology case reports are the reports which deals with the functioning, diseases, treatment and disorders related to the urinary system. These case reports contain various disease and disorders as well as their related treatments. Urology is also known as study of genitourinary and various surgeries related to urinary system. Gynaecology case reports deals with health problems related to women, especially disorders affecting the female reproductive system. It deals with diagnose and treatment of women's complaints gynecological diseases, fertility, pregnancy .Gynaecology is the study of health of the female reproductive systems.